Our new flagship Grid-Interactive ESS range, aimed at the new installation sector of the market, as well as those refused a G59 connection, has many USPs in the context of power capability. For the first time the end user can have a system installed that meets their requirement, as opposed to a system limited by grid codes, opening a massive new market in the UK. Our grid-interactive ESS, which is also modular, enables any size of renewable generation system to be grid-connected under G83. 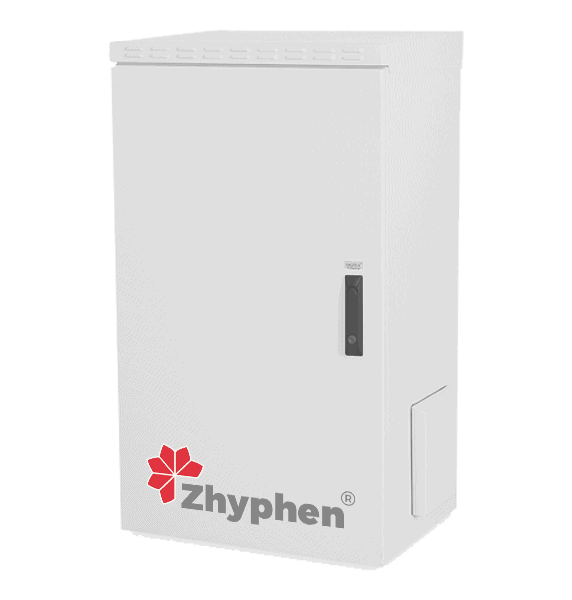 Zhyphen systems have more usable energy with only one power conversion process therefore offering far more usable energy. This process is greater than 98% efficient. The domestic ESS range has a continuous power output capability from 2.5kW to 24kW depending on number of modules installed, whilst capable of exporting up to 3.68kW to the national grid if desired. Our Powerhouse Z8.12 is an example standard model for a medium to large home. This has 8kW continuous power output capability, with 12kWh installed storage capacity, 10kWh usable capacity, and would be installed with a renewable generation system, e.g. a 3 to 6kW Solar PV array or wind turbine. Fully autonomous off-grid capability applies to our Hybrid Grid-Interactive ESS, aimed at new installations. During a power outage there is full generation capability from connected wind or solar source, and all load circuits in the property can be powered, up to the rating of the integrated inverter.